The new center’s grand opening is scheduled for November 6. After the announcement that Dr. Phillips Center for the Performing Arts will host splashy Broadway shows, co-presented with Florida Theatrical Association: “The Phantom of the Opera” in December and “The Book of Mormon” at Christmas, as well as Orlando Ballet with “Swan Lake” and “The Nutcracker”, representatives of Dr. Phillips Center unveiled a few days ago other shows to be seen during the new center’s first months of operation. The shows range from a jazz concert series including big names like Chris Botti, to dance performances, children’s shows. Officials said that more are to be announced in the future. The center currently under construction at Orange Avenue and South Avenue is being built on a site which is more than nine acres in size and will feature two grand performances theaters, a community theater, an educational facility and outdoor plaza. 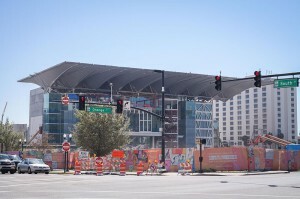 The state-of-the-art venue will cost $514 million: two thirds come from public funds from the Orange County, Florida and tourist development tax and the other third comes from private donations, mostly large funding from the Dr Phillips Foundation. Orlando’s new downtown performing-arts center will be built into two phases: an amplified hall and a 300-seat venue during the first phase and an acoustic hall is planned for phase II. They are still raising funding for phase II. Floridians and visitors of all ages worldwide are looking forward to coming for world-class entertainment. However, the activities of the center’s opening gala on November 15 still remain a mystery. Next PostNext Orlando International ranked the fifth best airport in the U.S.